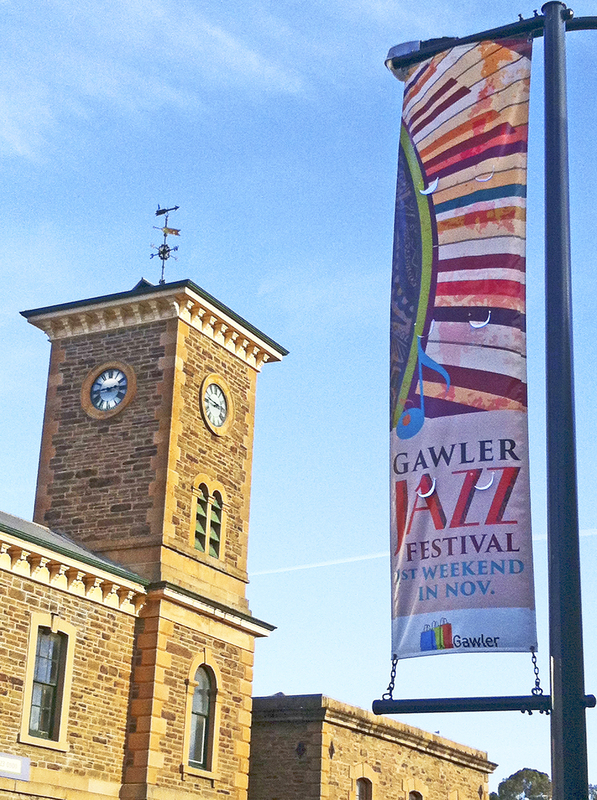 This inaugural event called for a visual brand that linked the proud history of the host town with the energy of jazz music. 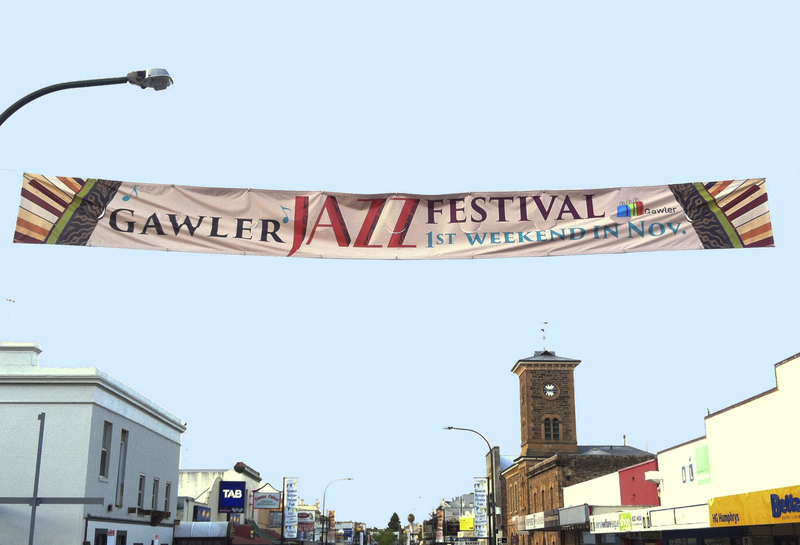 As events were hosted in several venues throughout Gawler, visitors were encouraged to follow a journey from venue to venue. The imagery of the ‘piano road’ was used to reinforce the concept of the journey. The browns and ochres harmonise with the stone and brickwork of the historical buildings while the brighter colours of orange and aqua lend a sense of energy and excitement. 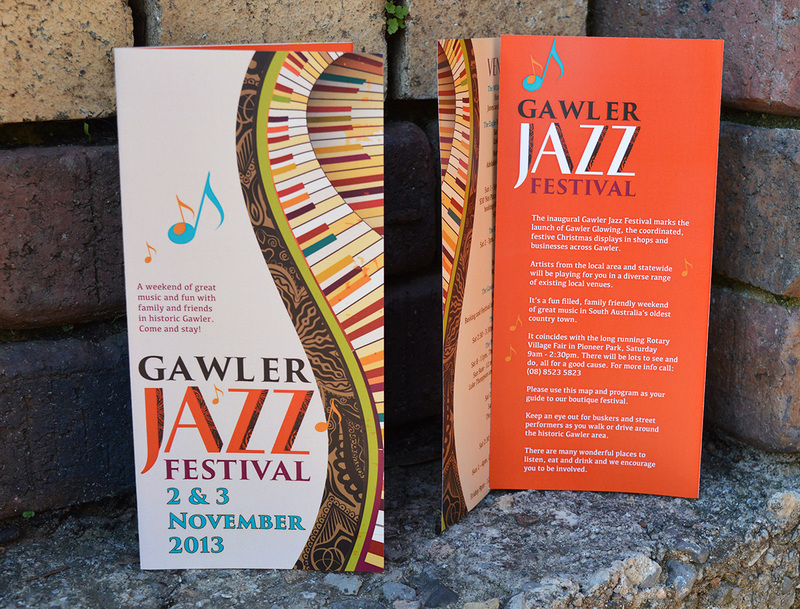 The typography, and graphics were applied to all marketing materials from flyer and posters to large banners to create a strong and recognisable visual brand.